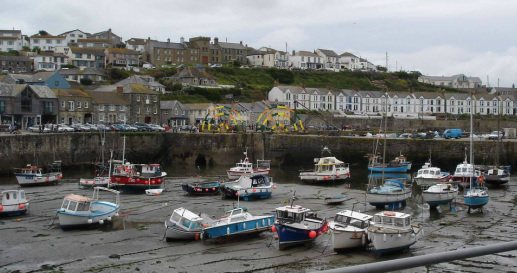 Feeline clothing has been based in salt cellar workshops for over 20 years; an old granite netloft overlooking the harbour in the Cornish fishing village of Porthleven. I originally made children’s clothes and hats, then 9 years ago branched out successfully into a range of beautifully designed, well made, stylish fleecewear for adults – primarily for women although there have been a few orders from men too. The clothes are designed to flatter the figure – whatever its shape – and to be comfortable to wear. A main attraction of feeline clothing is the made to measure option (usually at no extra cost) ensuring the exact fit and length to suit. You can choose your own colour combination out of the wide selection available to create your own unique garment or outfit. The current collection has two ranges of fleecewear for adults as well as the ongoing children’s styles, all made from either 100% polyester polar fleece or a viscose polyester mix fine fleece, that i dye into a myriad of colours and shades, both are soft to the touch, lightweight, comfortable to wear and easy to wash. I have always made my own clothes or altered shop bought ones to fit. It is wonderful to be able to have, for example, sleeves that are long enough and hoods that are tall enough. Not many people are the exact right shape for off the peg clothing and it gives me pleasure to be able to make garments that are tailor made for someone so they fit well and feel right. I came to cornwall in 1991 and have been part of salt cellar workshops since it opened. It is great to be working in a creative atmosphere with other crafts people, to have the sea just outside, and the beach and woods close by.